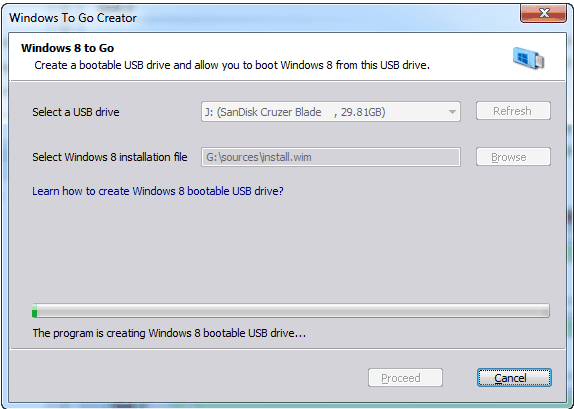 If your computer system is neither Windows 8 nor 8.1/10 Enterprise, you often need to create Windows 8 or 8.1/10 bootable USB drive. AOMEI Partition Assistant is a great powerful software for partition management that supports Windows To Go. It is an amazing function that can transfer the operating system to external disk or USB flash drive. AOMEI Partition Assistant is a free partition manager that delivers most basic disk/partition operations you might need in an easy-to-understand interface. 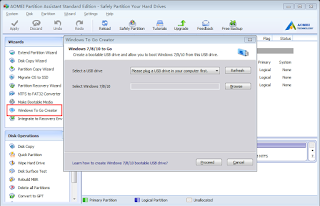 How to create Windows 8 boot disk with AOMEI Partition Assistant? 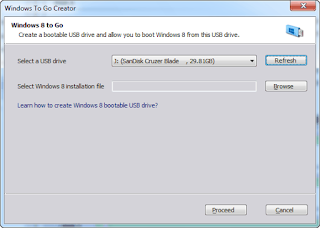 Step 1, plug the USB drive into a USB 3.0 or USB 2.0 port on your PC. Then download AOMEI Partition Assistant Standard, install, and launch it. 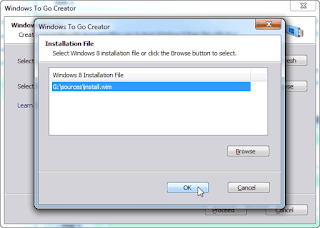 Click "Windows To Go Creator" on the left side of the main interface. 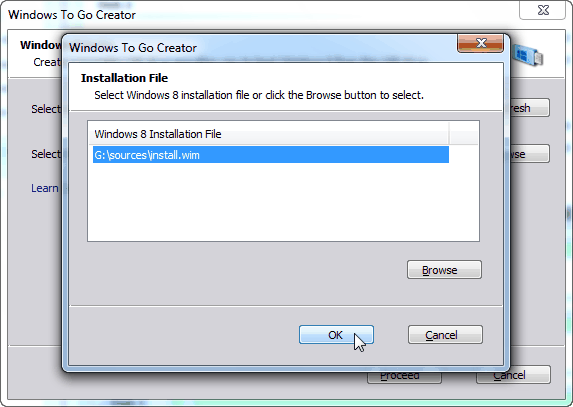 Step 2, now click “Browse” button to select Windows 8 installation file which locates under sources folder. If the program does not detect it automatically, please click "Browse" to select manually. After that, click "OK" to continue. Step 3, click "Proceed". The program will inform you about something important. 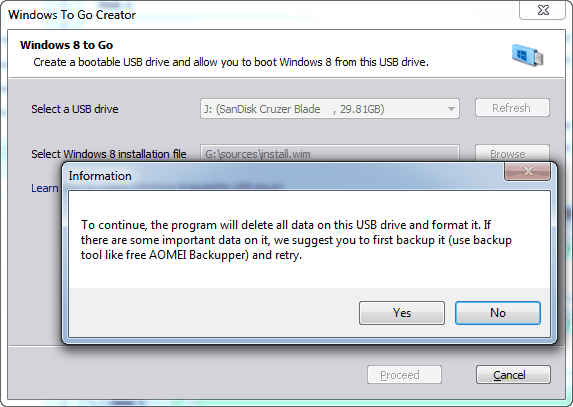 To back up data, AOMEI Backupper is recommended. 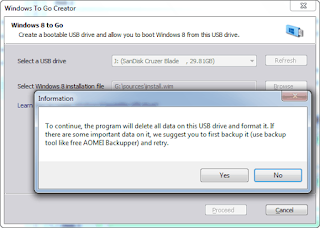 After that, you just need to click “Yes”, creating Windows 8 bootable USB drive will start now. 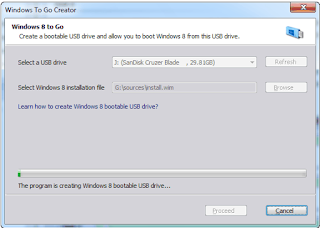 Finally, you can plug the Windows 8 bootable USB drive into any computer, enter BIOS setting, and change the firmware boot order to USB first. 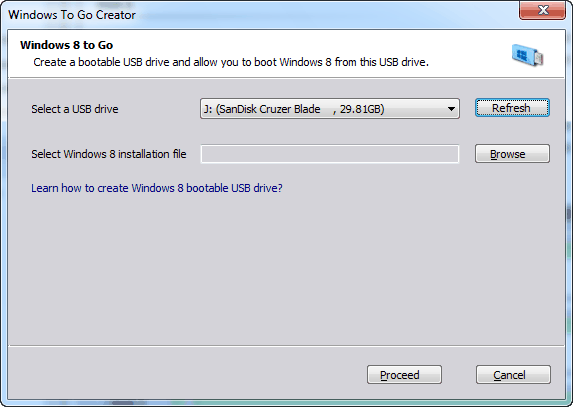 AOMEI Windows To Go Creator also supports installing Windows 8.1/10 on USB drive. 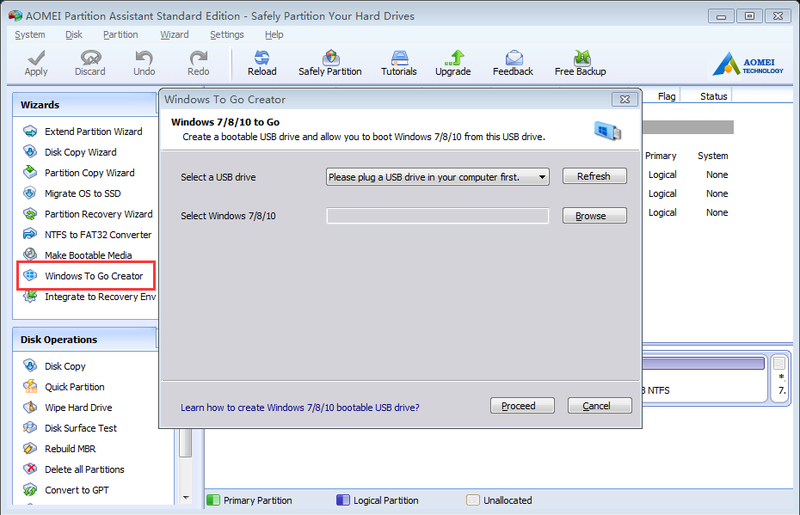 With AOMEI Partition Assistant Standard, you don’ t need to buy Windows 8 Enterprise nor need to use command line to make a Windows 8 boot disk. Further more the software also supports installing Windows 8.1, Windows8, Windows 7, Vista, XP and 2000 on boot disk. AOMEI Partition Assistant also supports resize partition, extend partition, split partition, move partition, copy partition, create partition and merge partitions on Windows 7/8/10/Vista/XP, etc.